After completing an intensive study of Chinese language and culture for five years, with a stay of one year in Singaore and three years till date in China, I have discovered that in my daily mundane Chinese conversation, I have devised an effective strategy of using small set of common Chinese conversational phrases that have the potential to impact most of the conversations and enhance my communication skills. The beauty of these common Chinese phrases is that they are short and sweet, and simple to learn in a short span of time. — “Where?”. This is a very polite and subtle Chinese conversational phrase which you can use to express your feelings when a person heaps praise on you. This phrase does make the natives beam with appreciation when they see you putting your language skills to use. 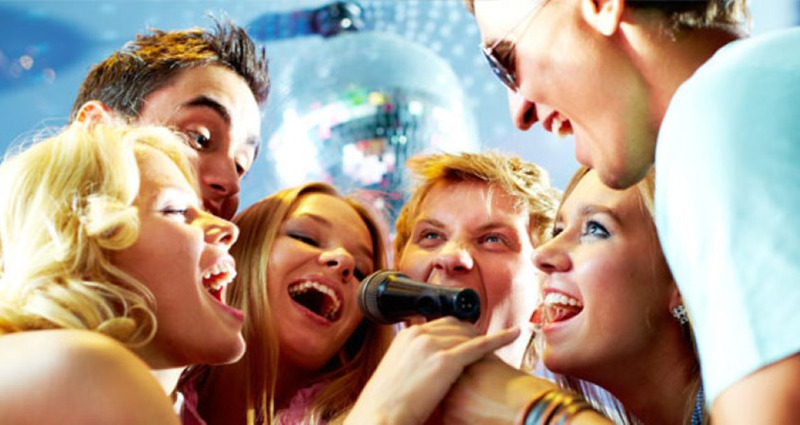 It is just a casual basic word used by the Chinese natives as they have an upbringing in a self-effacing cultural environment and use this word quite frequently, and which may be used rarely by foreigners .The term has the power to enhance your credibility as a linguist as well as an individual who is well mannered and cultured. — “Oh, my!”. This is an exclamation which can be used to effectively express a subtle form of surprise or astonishment. It may or may not be real. You can use it to express a certain extent of dissatisfaction or even mild amazement. It can also be used to break the ice in social situations. This narrative expression by a foreigner invariably brings a smile on the face of locals and may find you cute, and cuteness in China is a valuable virtue to make your life easier. -means “Excuse me, let me through”. This Chinese conversational phrase has a formidable place in the Chinese culture and does not need explanation, as the country has a booming population of 1.4 billion, who as a principle are never inclined to give you way while travelling. The last word is subtle and soft, and may be avoided if the situation demands. —Literally means “What the heck? !” WHAT THE HECK? When you are sick and tired of being polite and courteous and run out of patience and you wish to express your annoyance “Gàn má” is your best bet, for instance if a cabbie is taking you for a grand ride or a street vendor is trying to rip you off or a scooter driver is honking at you to move ahead when you are stuck in a jam , “Gàn má” will create a effect of shock and awe , and make them aware that you are not just a gullible tourist and can tackle them well on their home turf. – “Help!”. You may encounter dangers in all the parts of the world at all times and when you are venturing in an unknown territory, it is imperative to be equipped with some basic tools of survival to protect yourself or even assist others. “Jìu mìng”, although This Chinese conversational phrase is short but it makes the needed impact in any given dangerous situation , and moreover English is not an universal language, people tend to speak different languages in different parts of the world. – “too expensive”. Bargaining is the way of life in China, except for supermarket and shopping malls; you have every right to bargain everywhere, and especially in the retail stores. Though weird, most of the Chinese people have pre conceived notions that westerners are loaded with money and are filthy rich, and even if you wish to buy some souvenirs or t shirts, make use of this word and save your money. Some of the Chinese just love the process of bargaining and enjoy the same, hence do as the Romans do, be part of the bargaining process and enjoy the experience. -“sorry”. 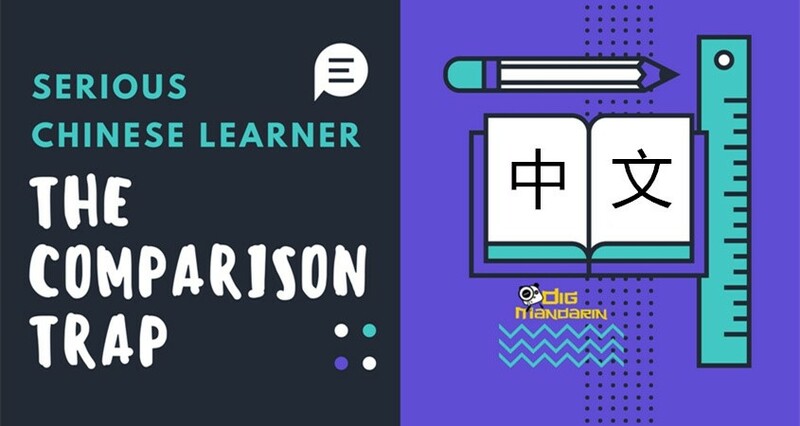 Hello & sorry are the two most common Chinese conversational phrases which one needs to know while learning any language. Hello is a type of greeting and can be used to express politeness. Sorry is a polite word which is another indicator of politeness. Up to a certain extent duibuqi can be used to say sorry or even excuse me. However due to the cultural variations you can easily overcome the confusion and use this phrase with confidence. –“as you like.” If you have a warm interaction and a cordial relations with Chinese people, then you would come across this word quite frequently For instance in case you check out what to have for meals, and where, you may get a response with this word. At first, you may feel embarrassed as you are not tuned with the culture, however Chinese aren’t assertive by nature, but they want extend respect and courtesy to you as you are guest in their country and in due course of time you will understand the dynamics of relations with them ,they will take the decision themselves. –“really?” This is a vital Chinese conversational phrase which is used often while communicating. It can be used to express numerous moods such as astonishment, suspicion, shock and a lot more. 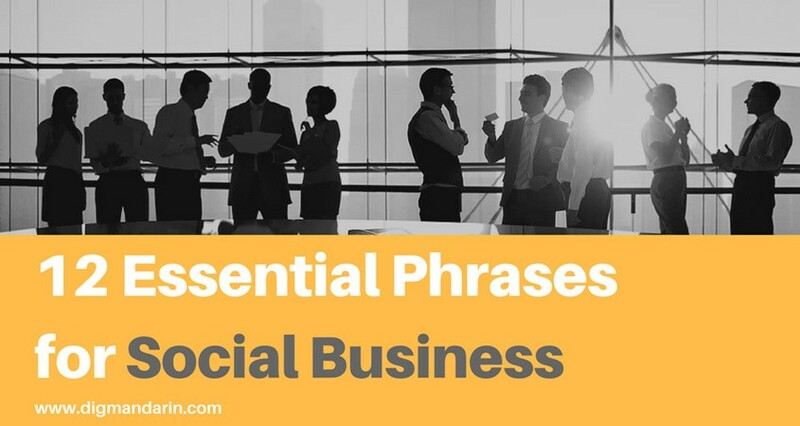 Using this term you may also motivate others to continue the conversation easily and keep the ball rolling. It can be used as effective fillers. Want to learn more useful common Chinese phrases? 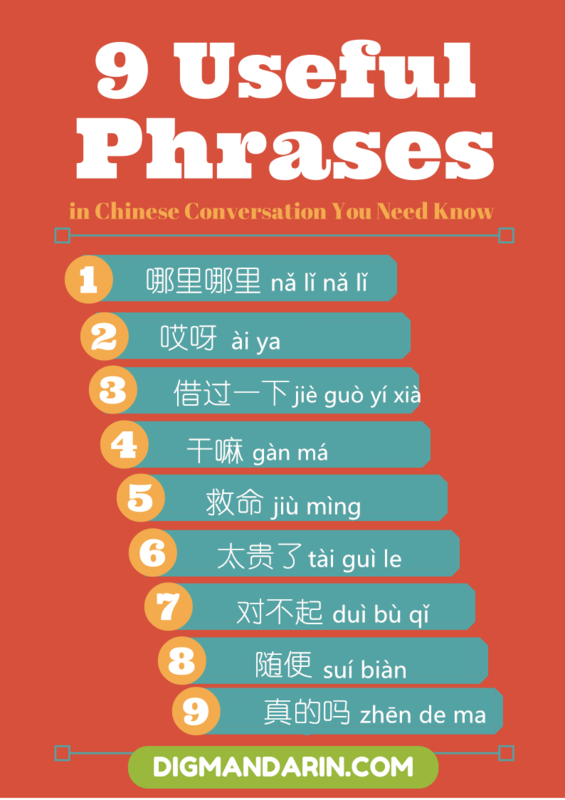 just check: 750 Commonly Used Chinese Phrases and Sentences in Conversations. 3) Let them know that you have something to discuss. It means “Excuse me! May I ask …” Works like a charm!